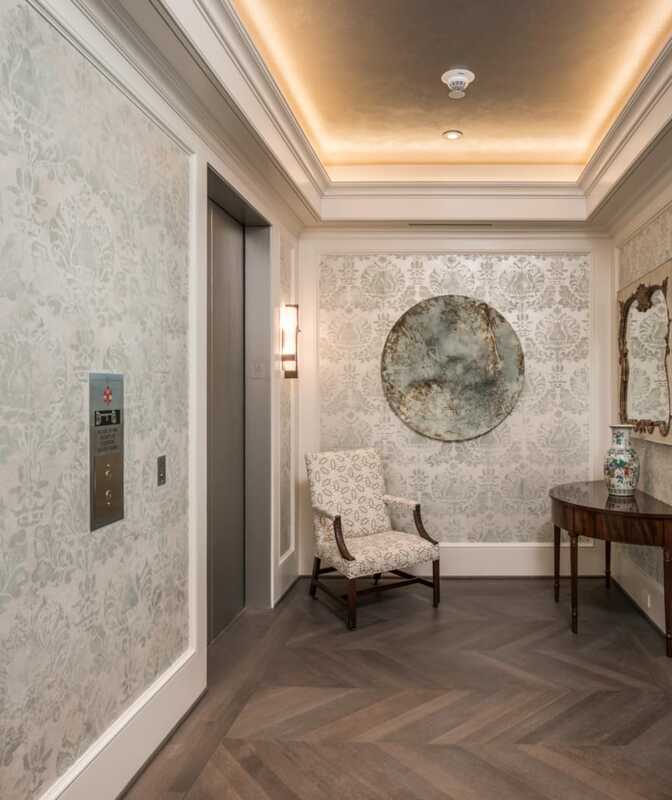 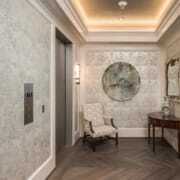 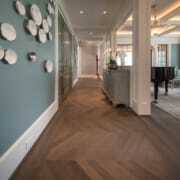 This European chevron pattern brings a tranquil beauty to the entry of this traditionally styled high-rise home. The planks are colored with a custom stain, then hand burnished with oil for a quietly elegant yet durable finish. 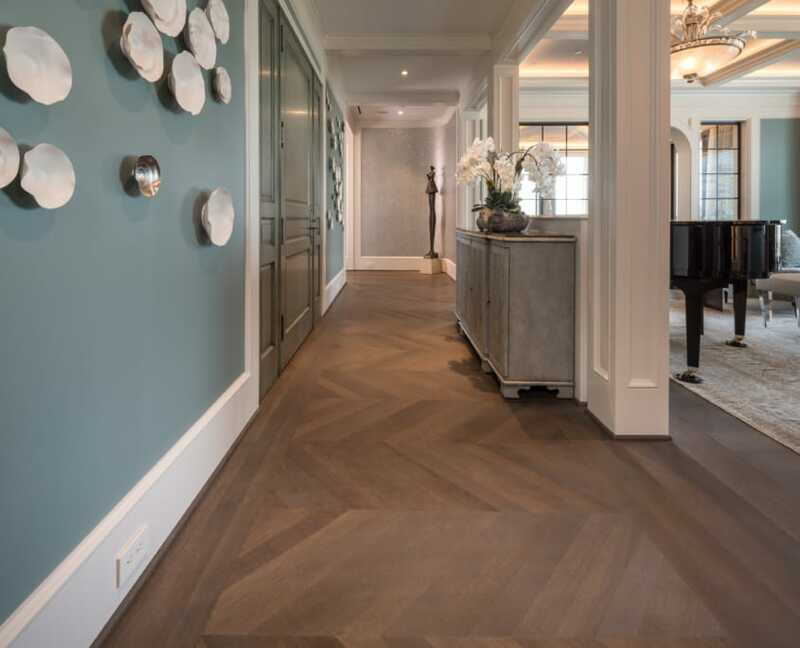 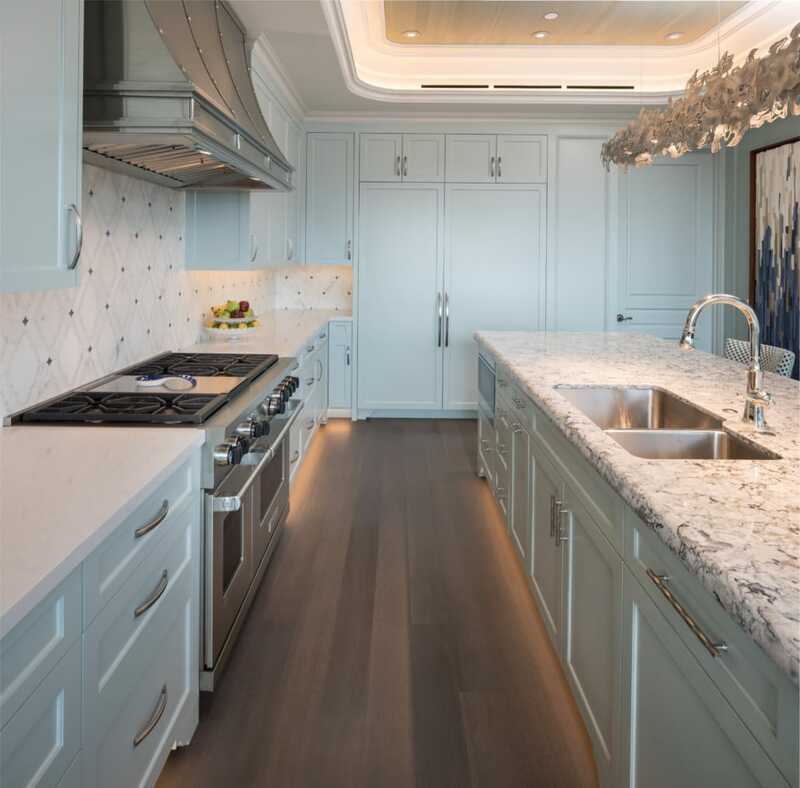 Beyond the entry, six-inch rift sawn white oak plank flooring complements the home’s décor.